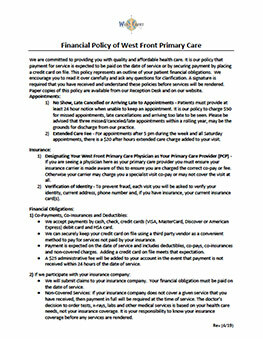 Below are a number of documents you may find useful. Hover over any of them for more detail, and click through to view. You can then download them if you wish, print them, and complete them at home to save time and hassle at the office. 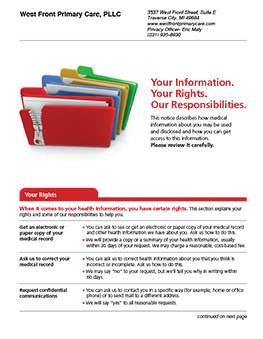 Learn how your private information is gathered, how it is used, and how you are protected. 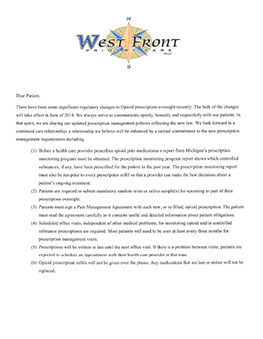 New Opioid Policy: Michigan Law requires changes to prescriptions and distribution of opioids. Please read if you take these kinds of medications.